Jo H2O Flavored lubricant has all the benefits of your favorite Jo H2O lubricant plus a lip-smaking mouth watering vanilla flavor. Jo H2O flavored personal lubricant is non toxic, non staining and latex safe. 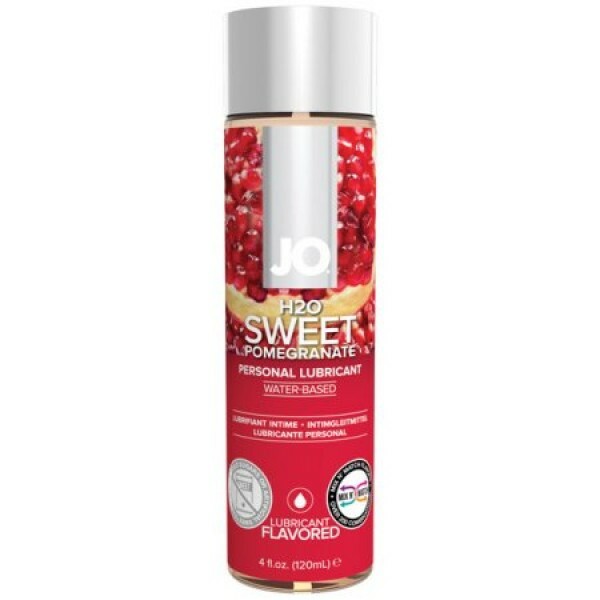 Jo H2O Flavored Personal lubricant has all the benefits of your favorite Jo H2O lubricant plus a lip-smaking, mouth watering pomegranate flavor that will make you come back for more. Jo H2O Flavored Personal lubricant is non toxic, non staining and latex safe.